No holiday party is complete without a big bowl of reindeer chow! 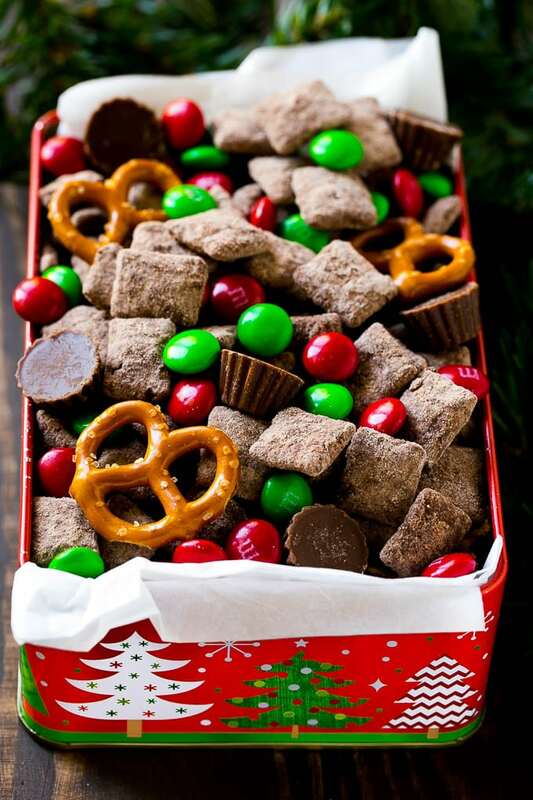 This Christmas chex mix is loaded with chocolate flavor and is perfect for feeding a crowd. 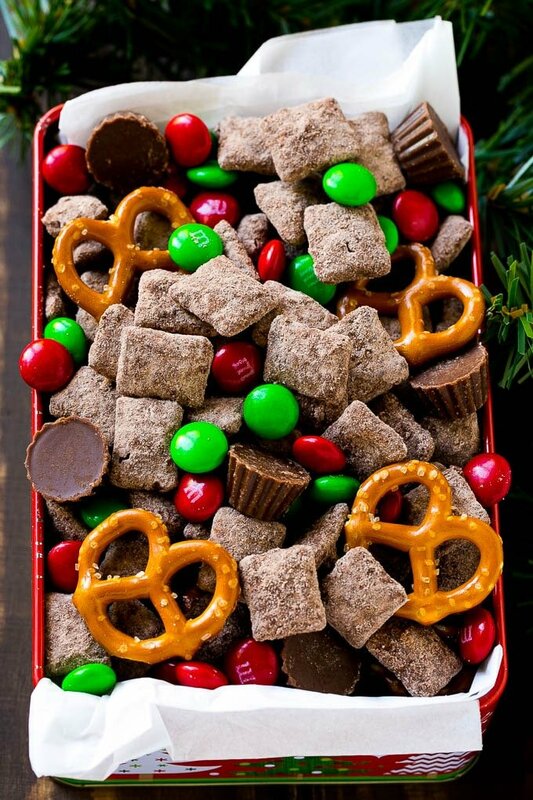 Chocolate muddy buddies, holiday M&M’s, peanut butter cups and pretzels all come together for a festive snack mix that’s easy to make and fun to eat! You have been warned: this reindeer chow is addicting! I may or may not have grabbed a handful every time I walked by on the day I made this awesome chex mix. It’s the ultimate Christmas snack with the perfect blend of sweet and savory and it features the classic flavor combination of chocolate and peanut butter. To make the muddy buddies in this reindeer chow, you’ll need Rice Chex, chocolate chips, peanut butter and dry brownie mix. That’s it! The cereal is coated in melted chocolate and peanut butter, then covered in the brownie mix. If you don’t want to use brownie mix, you can use powdered sugar with some cocoa powder mixed into it. 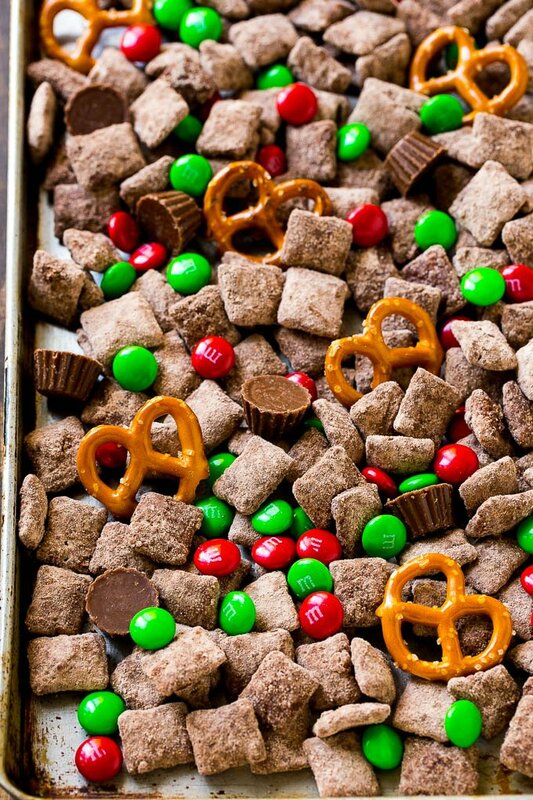 After the muddy buddies are dry, they get mixed together with Christmas M&M’s, miniature peanut butter cups and pretzels. The end result is an amazing combination of flavors and textures. 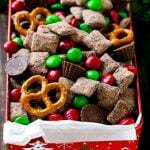 This Christmas chex mix makes a large batch, so it’s perfect for a holiday party or to package up in tins or cellphone bags for gift giving. I know there are a lot of peanut allergies out there, and it is possible to make this reindeer chow peanut free! Simply use white candy melts instead of the peanut butter for the muddy buddies, and instead of miniature peanut butter cups, you can use mini marshmallows. To me, it’s not the holidays without reindeer chow. It’s incredibly delicious and couldn’t be any easier to make. In about 20 minutes you can have a fun and festive treat that’s sure to be enjoyed by all! Place the cereal in a large bowl. In a medium bowl, combine the chocolate chips and peanut butter. Microwave the chocolate mixture for 30 second intervals until melted; stir until smooth. Pour the chocolate mixture over the cereal and use a spatula to gently toss the cereal in the chocolate until completely coated. Place the brownie mix inside a resealable gallon sized plastic bag. Add the chocolate coated cereal. Seal, then shake until cereal is coated in the brownie mix. Spread the cereal out in a single layer on a sheet of parchment paper; cool completely until dry. Combine the cereal, M&M's, peanut butter cups and pretzel twists, then serve. 2. To make this reindeer chow peanut free, use white candy melts instead of peanut butter in the chex and swap out the peanut butter cups for mini marshmallows. Is the cocoa powder necessary if using powdered sugar? 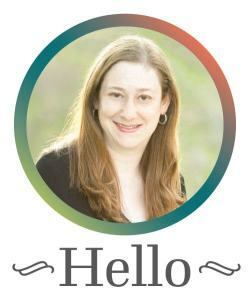 You can skip the cocoa but your chex will be white instead of brown like the photos! If put in an airtight container does this chow stay fresh? How long can it be stored that way? Looks wonderful and sounds delish.Thank you. It should keep for up to a week! Hi, what size m and m bag is used for this recipe? This a wonderful holiday treat. To make it even more special, take scoops of the chow and put it in holiday themed , foil cupcake holders and bring them to a holiday party. They will disappear quickly! Love the idea of putting them in cupcake holders for a fun presentation! Thank you so much! Happy Thanksgiving! Where can I find mini peanut butter cups? Do they sell them at most grocery stores? Thank you very much! They come unwrapped in a bag in the candy section, they’re called Reese’s Mini Unwrapped Peanut Butter Cups!